Obviously, at the moment that you get really angry at someone, it is more important to you to get what you want than it is to be caring. Why is this? What is happening on the inner level that leads you to be more interested in what you get from the other person than to be a caring person? One of my client's, Jake, has an anger problem. Jake is a good guy who enjoys doing things for other people. The problem is that Jake never checks inside to see whether or not he really wants to be doing whatever he is doing for someone. Jakes tends to ignore his own feelings and needs. He doesn't speak up for himself with his wife Karen, saying yes when he means yes or no when he means no. Instead, he stuffs his feelings and goes along with things that he really doesn't want to do. But underneath his giving himself up, Jake has expectations of Karen. He tells himself that because he is doing so much for her and so much of what he thinks she wants him to do, she should respond in a particular way - such as being very appreciative, affectionate, or turned on to him. When Karen doesn't give Jake the attention he is expecting and wanting, he explodes at her. Jessica is a tiny woman with a big energy and a back problem. Jessica has been told by her doctor not to lift heavy things. But instead of asking her husband or adolescent sons to lift heavy things for her, such as the heavy trash bags from her gardening work, she lifts them herself. She then gets furious at her husband and sons for not noticing that she needed help, and for not being concerned about her when she comes in the house in pain from her gardening work. Jessica is not caring about herself, and is then projecting her own lack of caring onto her family. When asked why she continues to do things that are hurting her, she states, "They have to be done and no one else will do them." Jessica makes taking care of the house more important than taking care of her body, and then gets angry with her family when she perceives them as not caring about her. Blaming anger at others is generally a projection of ways you might not be taking care of yourself. If you find yourself getting angry with others for their lack of attention or caring about you, you might want to look inside and see how you might not be attending to and caring about yourself. Others' behavior is often a mirror of how we are treating ourselves, so if you feel uncared about from others, this may be reflecting your own lack of self-care. Read More: What Does Anger Do To You? You will find that the more you practice the Inner Bonding process that we teach and take loving care of yourself - staying tuned inside to your own feelings, staying connected with the love and wisdom of your spiritual Guidance, and taking loving action in your own behalf - the less you will be angry with others. How to cope with anxiety and panic attacks while being pregnant? Depressed boyfriend, Getting frustrated with trying to help. 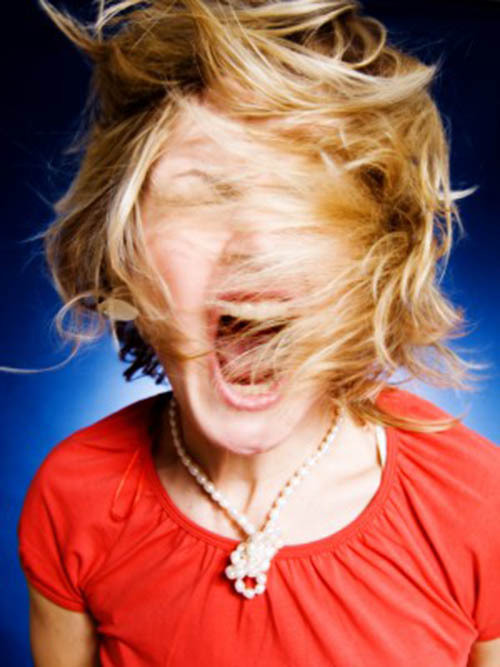 How to improve your life with anger management?